The Himalayan Kingdom of Nepal is home to mythical legends old & new, outstanding natural beauty and rivers abound for every paddler. Flowing from the high Himalaya, past Everest, the Tamur is a wilderness classic in the ancient kingdom of Nepal. 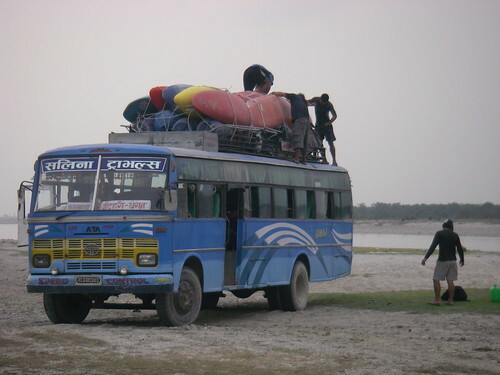 With over 130km of gorgeous class 2-4, the Tamur combines a stunning, remote multi day adventure with one of Nepal’s most scenic trekking routes. NOTE: At any time prior or during the course this programme may be changed to accommodate the range of participates, water levels or river access. 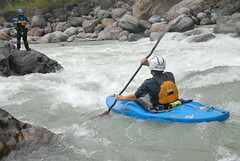 Tamur Multi Day Adventure takes place on Class III/IV whitewater. The Tamur Multi Day Adventure is suitable for experienced paddlers who are able to paddle for 4 – 6 hours in a day on Class III/IV. Generally the rivers are accessible with far road access, and there will be some exposed terrain. This trip begins on an easier section of whitewater, but will soon reflect conditions expected at the grade. Participants should therefore expect to be in a river environment during peak runoff for sometimes extended periods of time.